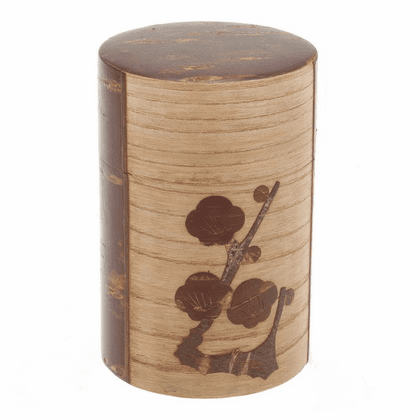 This attractive canister has a veneer of cherrywood with a decorative plum pattern one side. Has an extra inner lid to keep it fresh. 4-1/2 inches tall, 3 inches in diameter. Holds 120 grams (4.23 ounces).